One of the most common hair care habits people have is grabbing their heat tools to help style their hair. This could be because they are always in a hurry and don’t have much time to spend on their hair, or it could also be because it’s a quicker and easier way to style it. Regardless of the specific circumstances, heat styling can create heat damage to the hair if you don’t at least use a protective hair serum. There are some quality hair care tips to prevent heat damage, which we’ve explained to you here. If you know you’ll be using heat tools on a particular day, prepare your hair for it by using a protective hair serum designed to protect it from the heat. Not only will this product protect the hair from getting damaged, but it will also tame frizziness, condition the hair and make it shiny all with one application. It’s hard to completely eliminate heat styling tools if you’ve become used to them, so at least incorporate this product going forward to help out. Plan ahead and allow your hair some time to air dry as much as possible after washing with your best sulfate free shampoo. Air drying is important to protect your strands, since the alternative of rubbing it with a towel can cause more harm than good. Plus, the longer you let the hair air dry, the less amount of time you’ll need to use the heat tools. This reduced exposure will benefit your hair in more ways than one. Blow dryers, straightening irons and curling irons are life savers, but should be used only when absolutely needed. Whatever your current frequency of using these tools is now, skip a day or two the next time and try a new hairstyle. But even if you must use them, consider lowering the temperature setting as much as you can and see if it still gets the job done. These minor adjustments to your quality hair care routine will go a long way in preventing heat damage and helping your hair look healthy at all times. RemySoft is here to help you have the best quality hair care routine that works for you. We understand the need to use heat styling tools occasionally, but it’s also important to not rely on them solely for hair styling, since heat damage can occur over time. 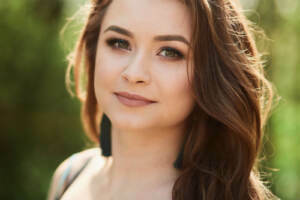 If you have any questions about your hair styling techniques or what you could be doing differently to help your hair, don’t hesitate to contact us at any time. You probably have a wide variety of hair products for Remy hair in your collection, but the one you use the most is likely a hair serum. It’s the perfect complement to your shampoo and conditioner and can add some benefits you didn’t know about. In fact, many people use a hair serum every day as part of their quality hair care routine and it’s the first product they pack when going on a trip. Whether you’ve never used a quality hair serum before or don’t know all of the benefits, continue reading to learn about them. One of the main benefits of using a protective hair serum is to protect it against elements like humidity and heat. You may notice your hair doesn’t get quite as frizzy during humid weather when you use your protective hair serum the night before. This is because the extra moisture added into the hair strands combats the humid air and allows it to remain hydrated. And if you’re a believer in using a blow dryer or straightening iron, then a good quality protective hair serum can prevent damage from the heat as well. A good hair serum is one of the many hair products for Remy hair designed to put moisture back into the hair. Dry hair can become brittle and get damaged easily, but the hair serum helps strengthen and soften it so you won’t have to worry about damaging it while styling. And from an appearance perspective, well-hydrated hair strands look like they have a lot more life to them. There’s nothing more annoying than spending a significant amount of time on your quality hair care routine, only to see some frizzy hair strands sticking out. It’s easy to default to grabbing some hair spray, but this is where a quality hair serum can be beneficial as well. It will tame down the frizz as well as nourish the hair, so you won’t have to worry about it returning throughout the day. The result will be a shiny and polished appearance that allows you to style your hair however you wish. RemySoft believes in using the right hair products for Remy hair specifically for your hair type. That’s why we are always willing to help our customers choose the right products for them, since no two people have the exact same hair. A good hair serum should be a part of everyone’s collection of hair care products for these reasons and more. To learn more about which hair products are right for you, don’t hesitate to contact us at any time. Your options are endless when it comes to fall hairstyles. However, most people choose to just make subtle changes rather than drastically altering their appearance. These subtle changes can come in the form of changing up the bangs slightly. One of the biggest keys to having great looking bangs is to ensure they hold in place. The perfect combination of sulfate free shampoo and conditioner, protective hair serum and other quality products can help you pull off any style. Here are some great options to consider to make a statement with your bangs this fall. Who said bangs have to be perfectly straight across your forehead? Sometimes the uneven, messy and textured look can be more stylish than a clean-cut look. Using the right hair products for Remy hair is the secret to pulling off these bangs, since they will make the texture appear to be intentional rather than looking like you’re having a lazy hair day. Side-swept bangs are getting more popular every day for good reasons. Not only do the sweeping bangs look amazing, but it also highlights more of your facial features. And the great part about having side-swept bangs is you can virtually incorporate any hairstyle you’d like. Wavy hair, straight hair, long hair, short hair or even ponytails and buns will look great with side-swept bangs. If you have naturally curly hair, then you owe it to yourself to give bangs a try if you haven’t already. Make sure to use a sulfate free shampoo and conditioner before styling your hair in order to keep the curls tight and prevent frizziness. And if needed, incorporate moisturizing hair products for Remy hair to ensure the curls maintain their hold throughout the day. Jagged bangs work great with both long and short hair. This style takes a little time and effort since each hair strand needs to be in the perfect position to pull off the look. The bangs will appear asymmetrical due to the nature of the jaggedness, but it’s the organized chaos that makes this style unique. Parted bangs are also known as curtain bangs, since there’s a gap right in the middle of them. 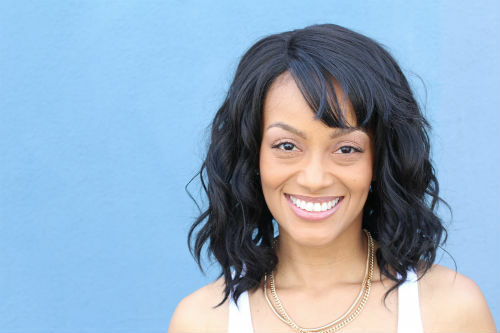 If you have straight and sleek hair and can’t figure out what you want to do differently with your bangs, then parting them is a great option to try. It’s easy to pull off and if you don’t like them for any reason, you don’t have to spend a lot of time fixing it. RemySoft offers only the best hair products for Remy hair, so you won’t have to search very long for your next great hairstyle. And along with our products, we also offer helpful tips and tricks to make your hairstyling experience better than you ever imagined. Whether you’re looking to make subtle or drastic changes to your hair this fall, reach out to us and we can lead you down the right path. Everywhere you look today you’ll see someone with a lob haircut. These celebrity-inspired cuts are the new talk at every salon for all the right reasons. A lob haircut is short enough to keep you cool, but also long enough to allow you to be creative with how you style it. One of the questions many ladies have is how they can create volume. The answer is very simple for anyone when you follow these quality hair care tips. Always start your quest for additional volume by washing your hair with the best sulfate free shampoo you can find. This will allow your hair to have the strength needed to maximize your volume and keep it protected in the process. After the wash, do your best rendition of a salon blowout and your hair will be on its way to being shiny and voluminous. Since you have to use heating tools for your hair, it’s critical to use a protective hair serum once you blow out the hair. Just be sure not to apply too much, since you don’t want you hair to become greasy. Once the protective hair serum has set, you’re ready to add some heat. You may choose to straighten your hair first, or go straight for the curls. Since the end goal isn’t to have tight curls, you don’t have to use a curling wand. 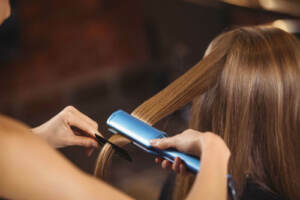 In fact, using your hair straightener may actually give you better results, since they create more of a wavy texture. Working in small sections will maximize the volume at the very end. However, if your goal is to achieve more of a subtle amount of volume, then you can work in larger sections. Once you’ve curled the hair all the way to the top, it’s time to break them up. Flip over the hair and run your fingers gently through it. Add any quality hair care products you have at this point to maintain the texture and volume. Once you flip the hair back over, you’ll have instant volume and will be ready to take on the day. At RemySoft, we want to make styling your hair as easy as possible. With the right quality hair care products and tools, almost every hairstyle is achievable. The lob haircut is trendy right now and it doesn’t look like it’s going to fade away anytime soon, so what do you have to lose? Give it a shot and never hesitate to contact us if you have any questions about products, techniques or need additional tips. If you don’t have thick and luscious hair that makes styling easy, you’re not alone. People with fine hair often struggle to achieve the hairstyle they desire. It’s easy for fine hair to fall flat or just be difficult to work with. Using a great sulfate free shampoo will help your hair be as healthy as possible, but some minor changes to your quality hair care routine may add some volume. Here are three simple ways you can add some volume to your fine hair. It’s important to use a great sulfate free shampoo to maintain healthy hair. However, skipping a hair washing session once every couple of weeks won’t hurt anything. In fact, having slightly dirty hair can give it a little more body and texture in order to make it hold more naturally. So if you have a big event to attend and need some added volume to create the hairstyle you desire, try washing it a couple days before the event and see the difference when the time comes to style it the day of the event. This applies to both the amount of products you use and how often you touch your hair. If your quality hair care routine involves constantly running your fingers through your hair, or even if doing so is a nervous habit, try to refrain from doing it. The dirt and oils from your hands can make your hair heavier than it should be, which weighs down the hair unnecessarily and can eliminate any volume you have. And from a product standpoint, only use the hair products you absolutely need to achieve the style you desire. Hair products can weigh down your hair significantly, and most people tend to use more products than what’s necessary. As tempting as it may be to use them, start with a small amount and work your way up as needed. A quality hair care routine tip to incorporate is protecting your hair’s roots as much as possible. Many hair problems originate with the roots, so using a quality protective hair serum occasionally can help. Using these types of products in moderation can keep your roots healthy without weighing the hair down. The healthier your hair roots are, the better your chances are of adding the desired volume to your hair. At RemySoft, we understand the challenges of having fine hair. It can seem like nothing works at times, but hopefully these quality hair care tips will help. Making minor alterations to the products you use or the hair care routine you have can make a big difference over time. Just be patient and diligent and you’ll see significant changes in no time. Be sure to contact us for more tips and suggestions like this to create the voluminous and stylish hair you desire. 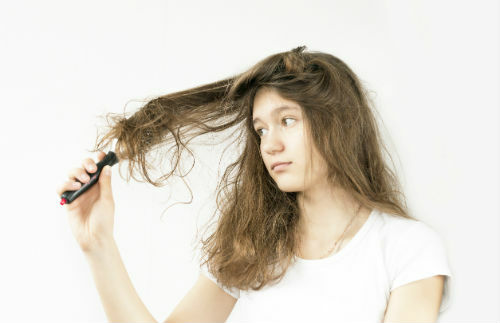 No matter if your hair is straight, wavy, curly or frizzy, chances are you’ve experienced a bad hair day a time or two. And for some reason, bad hair days always tend to pop up on the morning you can’t afford to just cover it up. Sometimes your hair won’t cooperate because it was still wet when you went to sleep. Other times it will be a mess for a different reason, or no reason at all. Regardless, the right combination of quality hair care products and your hair care routine can eliminate bad hair days and make every day a good hair day. The natural thought when you have greasy hair is to wash it more often. However, you could end up fighting an uphill battle with that approach. Even when you use a sulfate free shampoo, it’s important to spread out your hair washing nights to maybe two or three nights a week. When you wash your hair too much, you’re stripping the hair of its natural oils, which causes it to work harder to produce more oil to compensate. Washing your hair less frequently with a quality sulfate free shampoo will make your hair easier to work with and always look shiny. Heat products can cause some significant damage to any hair type. You may experience frizzy hair, split ends or other types of damage when you use hot curling irons or straighteners frequently. Incorporate some heatless styling in your quality hair care routine and you’ll thank yourself later. If heat products are unavoidable, then you have no choice but to use a protective hair serum. The best protective hair serum will help retain the moisture in your hair and make the follicles less brittle, which leads to a smaller risk of damage. In fact, using this type of product occasionally can provide other benefits, even when you don’t use heat to style your hair. Your hair needs moisture to look its best, and to be easy to style. A leave-in conditioner is a great product to have on hand. Otherwise, you can keep a water bottle handy and give your hair a spritz of water occasionally when you notice it’s getting dry. It’s especially important to be conscious of the moisture in your hair when you’re out in the hot and dry weather. At RemySoft, we don’t see bad hair days as a bad thing. We see them as an opportunity to try a new product, a new routine or anything else to help improve your hair. There are so many different ways to ensure you always rock a good hairstyle, and we are here to help you find the perfect routine. Don’t hesitate to contact us at any time for more tips and tricks on how to always have the best hair day. Are You Causing Unnecessary Damage to Your Hair? You likely work very hard to protect and keep your hair looking shiny and healthy. 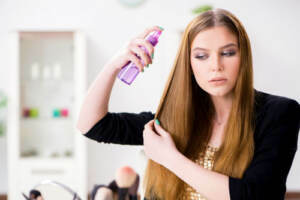 You may use a hydrating shampoo and other products to keep it healthy, but sometimes it’s the overlooked tools and actions you take that could be damaging your hair. Hair damage is unavoidable to some extent. The main thing you want to do is be conscious of the products and tools you use on your hair and limit them to only the amount you need. Otherwise, you could be causing unnecessary damage. Here are some of the most common things people do to cause hair damage and not even know it. With the spring season here and summer just around the corner, you’ll likely be spending much more time outdoors. You may have numerous different hairstyles picked out already for different events, but think about your sun protection for hair as well. Too much sun exposure can make your hair become dry and brittle, and can even change the color of it. Opting to wear a hat or staying in the shade as much as possible will protect your hair enough to prevent significant damage. Heat styling is an essential part of many people’s hair care routines. 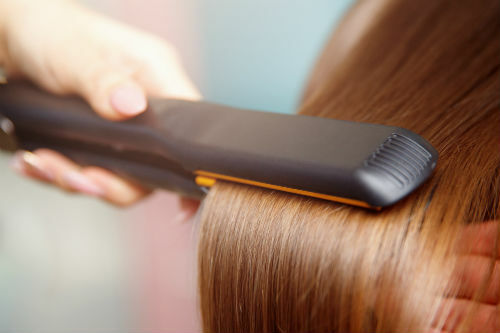 While tools like flat irons, curlers and hair dryers are extremely effective, they can also be damaging. Using a protective hair serum will help; however, using a lower heat setting will also reduce the risk of damaging your hair. These heat tools can burn your hair, make it brittle and dry and even have the opposite effect by making your hair frizzy. Investing in more expensive tools with different heat settings will be well worth it to protect your hair. There are plenty of products on the market you can use for your hair. However, it doesn’t mean you should try them all. Many times all you need to start off with is a quality hydrating shampoo. The more products you use, the more chemical exposure your hair will get. Chances are it will get damaged to some extent over time, so try to limit product usage as much as possible and only use the highest quality products. RemySoft knows how hard it can be to style your hair perfectly without causing unnecessary damage. We want you to feel comfortable with your hair and at least be conscious of the products and tools you use every day. Whether you need tips on sun protection for hair or anything else, we are here for you. Be sure to contact us any time for more tips and advice on how to better protect your hair and make it look fantastic any time of year. What Determines How Often You Need a Haircut? There’s no rule of thumb when it comes to how often you should get a haircut. Most of the time it depends on the length of your hair, but it can also be determined by how you want to style your hair. Sometimes your hair products for Remy hair may not be as effective as they used to be, which is a sure sign it’s time for a haircut. Here are some points to consider when you aren’t sure whether you are due for a haircut or not, depending on your hair type and style. People with long and straight hair can usually wait up to 12 weeks between haircuts. This is especially true if you use a great sulfate free shampoo to take care of it and keep your hair hydrated as much as possible. The main things to watch out for are split ends and the strands becoming dry or brittle. These characteristics may require more frequent haircuts, but you should still be able to go several weeks before getting your next one. Long layered hair may require more frequent haircuts, but can still generally be spaced out 6-8 weeks apart. Layered hair can sometimes require a few different hair products for Remy hair, depending on the style you’re going for any given day. Many people with long layered hair will just get a new haircut whenever they want to change up their style, since the layers give plenty of styling options. Shorter hairstyles like bobs or pixie cuts may require a haircut every 4-6 weeks. The reason is because these hairstyles are designed to have shorter hair and will be difficult to achieve when the hair grows out. Even incorporating different hair products for Remy hair won’t be able to make up for the added length, so schedule your haircuts accordingly. 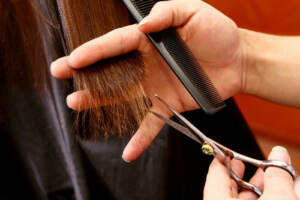 People with damaged hair for any reason should schedule monthly haircuts to prevent the damage from getting worse. Using a protective hair serum in conjunction with frequent haircuts will help protect the damaged hair as much as possible as the new hair continues growing. RemySoft not only offers the best hair products for Remy hair to make you look great, but we also enjoy providing advice to our customers. The secret to a perfect hairstyle goes well beyond products, and we want to help you achieve the unique style you’ve always desired. To learn more about our products and for other tips and advice, don’t hesitate to contact us at any time. Do you constantly have to deal with tangled hair? If so, you aren’t alone! 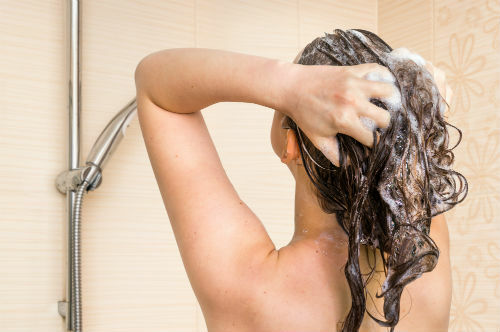 There are many reasons why your hair may always seem like a tangled mess, and most of the time it’s when you get out of the shower or wake up in the morning. 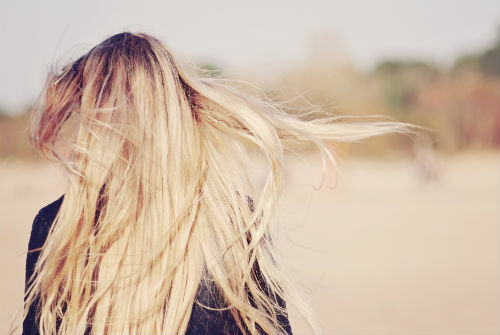 People with long, thin and dry hair are typically more likely to have tangled hair because of the hair’s rougher surface. Using the best sulfate free shampoo and conditioner is one way to minimize tangling, but here are some other methods to consider as well. The longer your hair is, the more likely it is to get tangled. But you don’t have to get crazy with your trim. 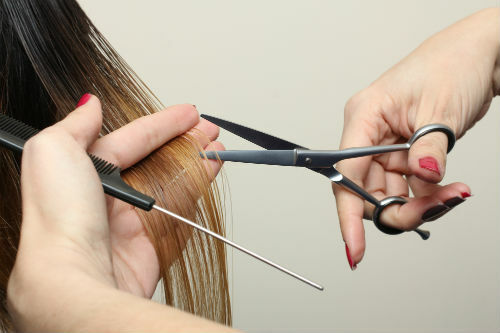 Simply trimming off dead ends or as much as needed to get rid of the damaged hair will reduce the risk of tangling significantly. Once you get a trim, incorporate a protective hair serum into your quality hair care routine to prevent tangling in the future as well. A sulfate free shampoo and conditioner will not only make your hair healthier, but it will also indirectly reduce the risk of tangles. Shampooing too much could create the opposite effect since you’re stripping the hair of its natural oils, so finding a good balance is key. Using the right shampoo and conditioner a couple times each week will go a long way in reducing tangles. After using your shampoo and conditioner, consider incorporating a protective hair serum as well. Use the serum after you have towel-dried your hair, but before running your brush or comb through it. The serum will help maintain the oils needed to keep your hair smooth and free of tangles. If you generally have bad tangles or knots, use your fingers first before using a comb or brush. This will help remove the tangles much more gently and prevent damaging your hair as a result. Once the major knots are removed with your fingers, you can proceed with your regular routine. Aside from the hair products for Remy hair we’ve mentioned, the technique you use to wash your hair could also be causing tangles. When you wash your hair in sections, it makes the process more manageable and ensures the hair gets cleaned evenly. So if you’ve washed your hair while it’s loose in the past, try washing it in braided sections and see if you notice a difference. RemySoft has all the hair products for Remy hair you need. 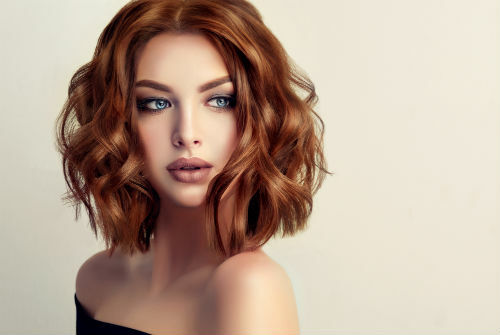 Whether you need assistance working with tangled hair or want advice for creating a glamorous hairstyle, we’ve got you covered. Don’t hesitate to contact us at any time for hair care advice, no matter what your hair type is.